Our product range includes a wide range of timber cross flow double cooling tower, timber cross flow single cooling tower and timber cooling tower. 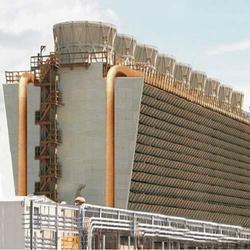 We hold proficiency in manufacturing an optimal quality Timber Cross Flow Double Cooling Tower on large scale. This product is fabricated and designed in synchronization with defined industry guidelines by utilizing premium-grade raw material and highly advanced machines. The product offered by us is sternly inspected on various quality measures in order to deliver faultless products. Additionally, we provide this product at most reasonable rate to our patrons. 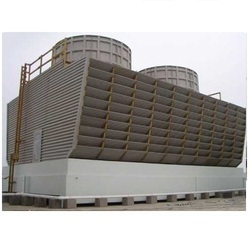 We are ranked amongst one of the foremost companies betrothed in providing a comprehensive collection of Timber Cross Flow Single Cooling Tower. Manufactured making uses of best in class raw material and highly sophisticated tools and machinery, our offered collection is hugely acknowledged and accepted. Moreover, we offer these to our customers in numerous specifications to choose from. 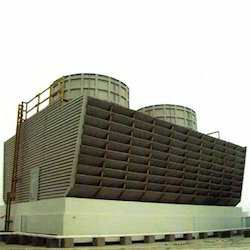 We feel proud to introduce ourselves as one of the well-known manufacturers of¿¿Timber Cooling tower.